An ISOimage is a virtual optical drive, which allows to dispense with a conventional disk drive. This tool uses a large number of users. Mounted the image occupies only the space on your hard drive and eliminates the hassle using a CD or DVD. To create an ISOimage, you must be able to use just one program. 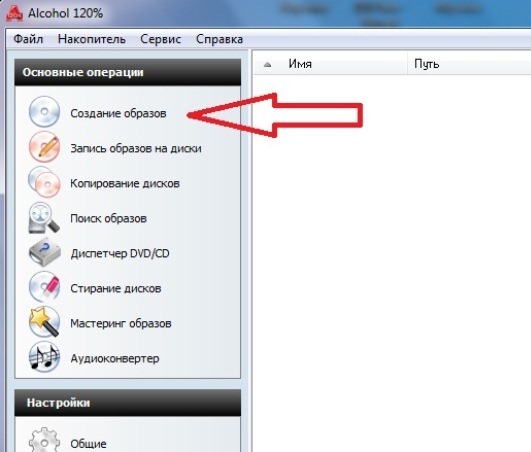 Install on your PC the program Alcohol 120%. Download this app on the official website at www.alcohol-soft.com or any soft-portal of the Runet, for example, www.softodrom.ru. Insert the optical drive the drive from which you need to make image and wait for the computer to recognize the external drive. Then run the program Alcohol 120%. In the left part of the main window is the navigation bar. In "Basic operations" select icon of drive "the Creation of the images". Opens a window where you can choose the write speed, the drive, the data type, file name, its location and format. Click "Start" and wait until the operation completes. After finishing the recording process the imageand you will be able to find a ready-made ISOimage in the previous place. To start working with it, you must mount the image in virtual drive. To do this, drag the file into the program window. Click the right mouse button and select "Mount on device". Now your image will work as a disk.